More than green has been collecting hundreds of works which define ways of transforming the reality into more sustainable design, protocols, and technologies. However, it would also be interesting to revisit and put forward certain projects which, being developed by women, have provided a new perspective on sustainability. 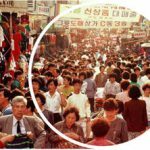 Amongst these, there are a number of initiatives dealing, in a sensitive but also robust manner, with issues such as: the democratization of public spaces, the empowerment of the inhabitants of the cities, or new technological proposals that turn our relation with nature into a more respectful one. We can point out that women play an emancipated role in the description and proposal of new environmental policies, and how they take advantage of different tools (such as the Internet, art, or films) in order to take an active part in the building of new models. 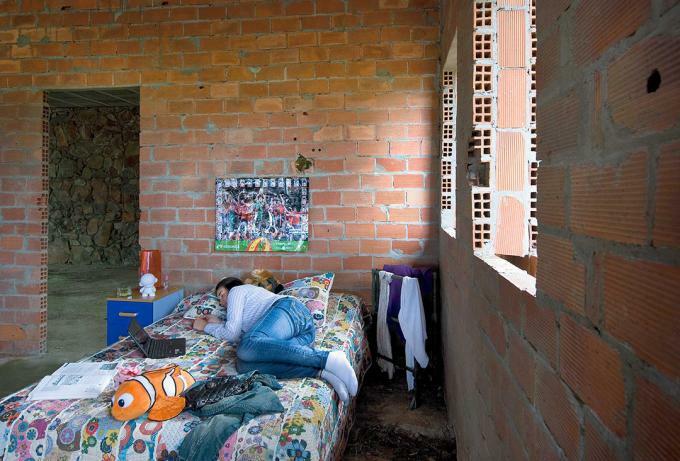 Thus, many women have found their “Own room” -see Virginia Woolf– or, even their “Own connected room” -see Remedios Zafra-, which provide a space where they can develop their ideas in fields such as environmental, social, cultural or economic issues. It is worth highlighting the film “The Gleaners and I” by Agnès Vardá with which the artist and director aims to depict the situation of various types of urban characters by employing a camera. In this film, she reveals why this new urban movement reuses the obsolete and wasted objects that they find in the cities. There is a movement of artists who employ rubbish from the streets to develop their artworks. In a similar way, there is another movement whose philosophy is to consume the products found in the waste bins close to the supermarkets; philosophy based on the case of the antique women glaneurs who collected the vegetables and wheats forgotten or rejected during the harvest. This is not the only way in which women reflect about urban problems. 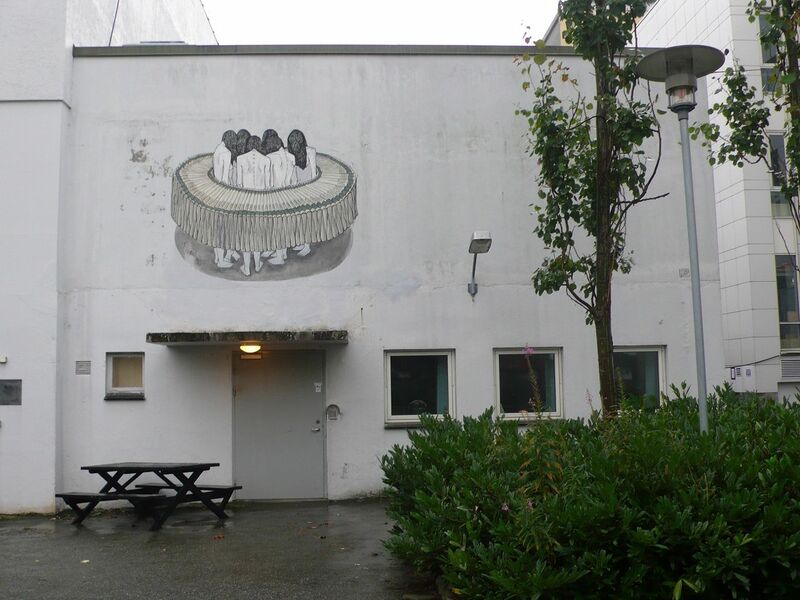 Another women artists approach the appropriation or transformation of public spaces. Yayoi Kusama, for instance, has recently used one the walls of the Whitney Center as a giant canvas to develop her sublime “Yellow trees” piece (http://www.morethangreen.es/en/yellow-trees-building-yayoi-kusama/). 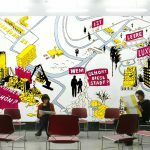 Reusing one of the empty vertical surfaces that populate our cities, Kusama provides an artistic intervention which transforms the urban landscape in a sensitive, colorful, and emotional way. Similarly, the urban female artist Hyuro feels that the public space needs to be appropriated by its inhabitants and has developed her work in a series of urban murals which represent poetically her own emotions towards collective issues. She paints scenes on the empty walls of the streets where the women are usually the focal point and where she reflects about the identity of women –related to their domestic role, for instance– at different moments throughout the history, as well as the mechanism women use in order to rebuild their identity. 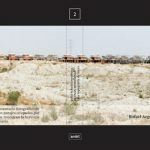 The special sensibility on contemporary environmental conflicts is also displayed in the initiatives of the group of women who work as landartists. 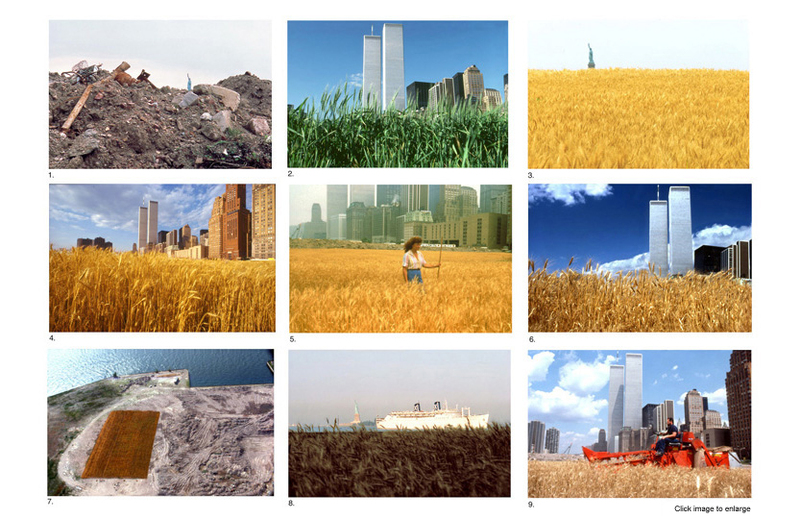 Among them, the work “Wheatfield: A confrontation”, by Agnes Denes, or Nancy Holt‘s Sun Tunnels could be considered two of the most important projects in which natural emplacements are used as a creation tool and where the main objective is to experience the relation between art, landscape, and people. 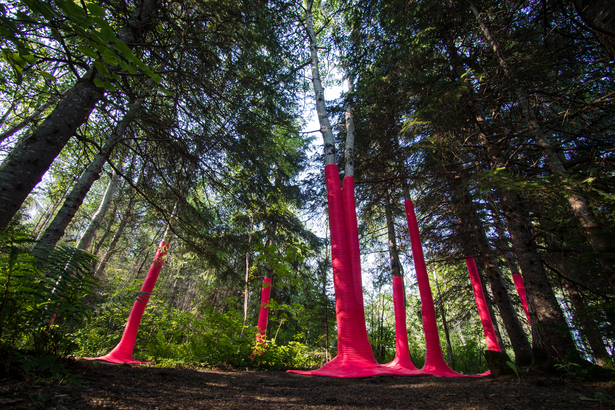 This is also the case of Michaela MacLeod, developer of experimental works combining technology and nature in a highly sensitive way and whose most famous project is the artistic intervention in the trees of a forest, employing a pink material –normally employed in the protection of trees– as an aesthetic tool. There are also other artists who translate the sensitivity employed by land-artists into an urban language aimed to revitalize the urban atmosphere. Amongst them, the technological, “fluidly”, and moving sculpture of Janet Echelman is a urban piece of art that “responds to environmental forces” such as wind, water, and sunlight. Thus, she reflects around the necessity of having “focal points” in the urban space which connect nature, technology, and inhabitants of the cities (TED.com). In contrast, Annie Leonard‘s proposal is an initiative more related to education on sustainability and the awareness about environmental problems. Her famous shortmovie, “The story of the stuff”, is a good example of how she understands that, in order to reach a more sustainable future, it is important to present, in a more approachable style, the complex information about the current policies on the consumerism process. Her work as “an American proponent of sustainability and critic of excessive consumerism” focuses on a critical explanation of “the lifecycle of material goods” (wikipedia). Along with that, she has also been an active part of other initiatives such as the Basel Convention aimed towards the protection of less developed countries against the dumping of the waste from developed countries. In Spain, this critic attitude towards social and political problems have also appeared and a good example is the “Spanish Dream” project, developed by the group Cadelasverdes, formed by three women and architects (Ana Amado, Marta Marcos, and Luz Paz). 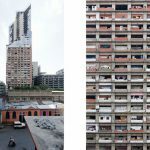 With this photographic project, they showed their vision on the topic of the current housing situation of Spain as well as deal with the thousands of empty unfinished buildings abandoned once the crisis hit Spain. The images create awareness about the life that could have been if it would not be for the obstruction caused by the crisis and led by the building bubble. However, art or education are not the only fields in which women propose and criticize the conflicts related to environment and society. Rachel Botsman has been a leader who has inspired many of shared economy movements (such as OuiShare) by proposing new ways of understanding production and economy. She stands up for the employment of technology in the creation of networks of collaboration and sharing protocols, seeing this as a way of empowering society. Have women a special sensitivity towards sustainability issues? Are women proposing a new way of understanding our relationship with the environment, technology or economy? Are they having an active part in the construction of new social models? In line with the feminist artist Martha Rosler or the theorists Donna Hawaray and Virginie Despentes, women are expressing loud and clear their visions of the current reality, the way in which societies must be developed, and how women can also be leaders in the construction of the future. 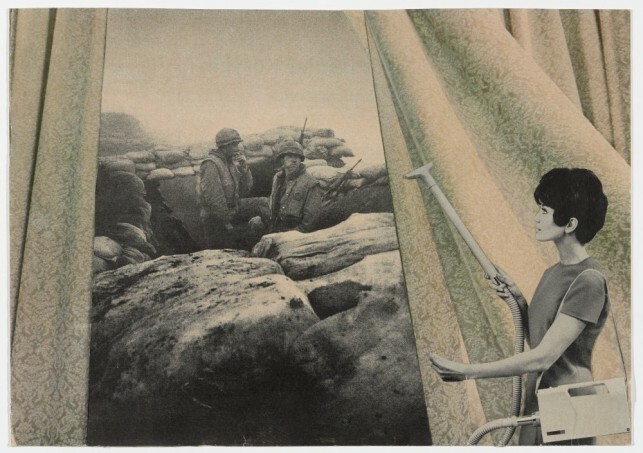 © Martha Rosler. Bringing The War Home.